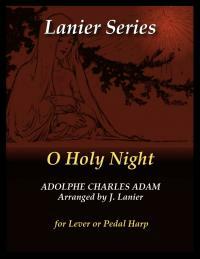 Most harp arrangements of this carol require a lot of 4-note arpeggios in the left hand which might be challenging for players with less experience. This particular arrangement splits the arpeggio between the two hands allowing an easier flow. There is a lever change on F# in this two page arrangement.